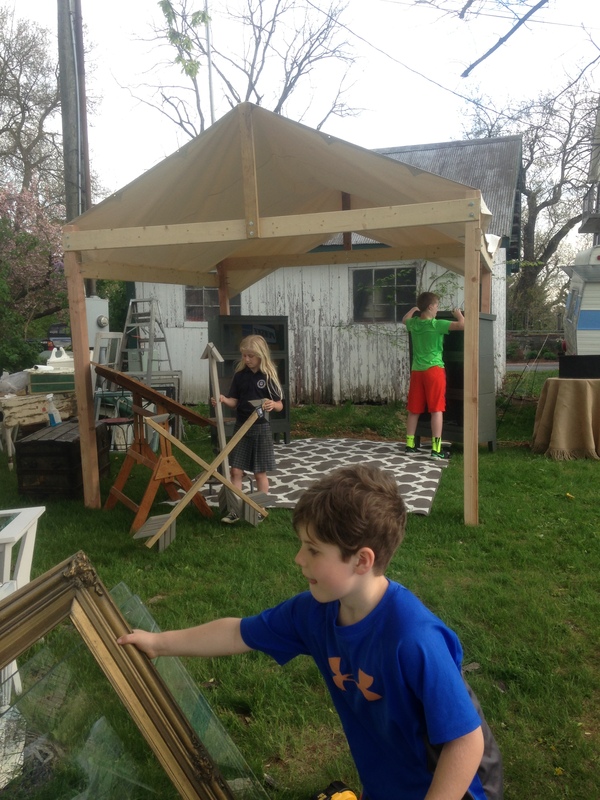 We had a great time at the Chartreuse Barn Spring Market Days last weekend. 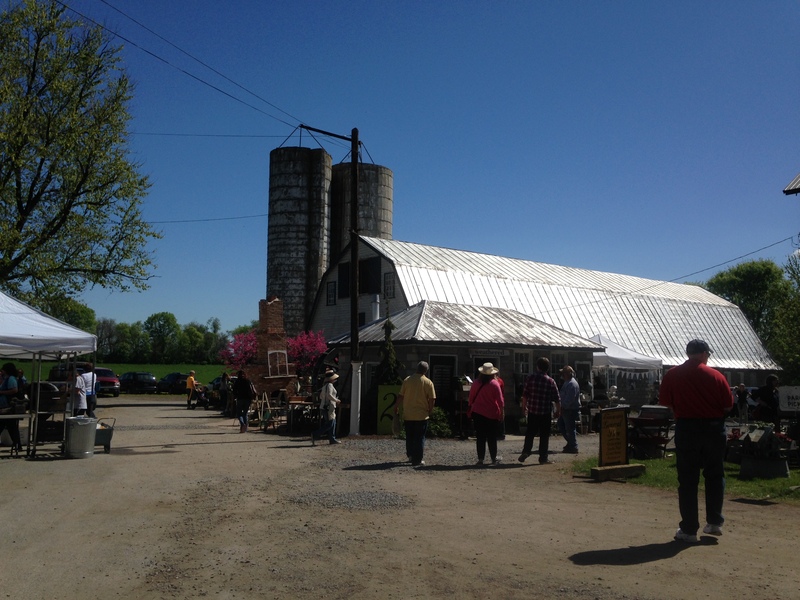 The beautiful weather brought out a ton of buyers and treasure hunters. 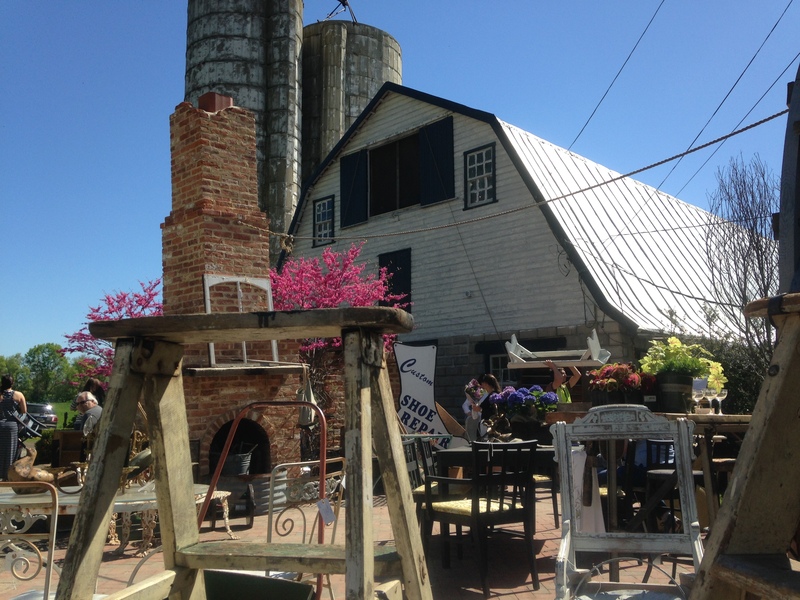 We were so busy with our own shop that I did not get much of a chance to explore everything on the grounds — but from what I saw, those looking for treasures were surely not disappointed. Chartreuse features 6 historic barns/buildings filled to the brim with unique and vintage goods, and last weekend the grounds were full of even more goodies than usual (like ours!). 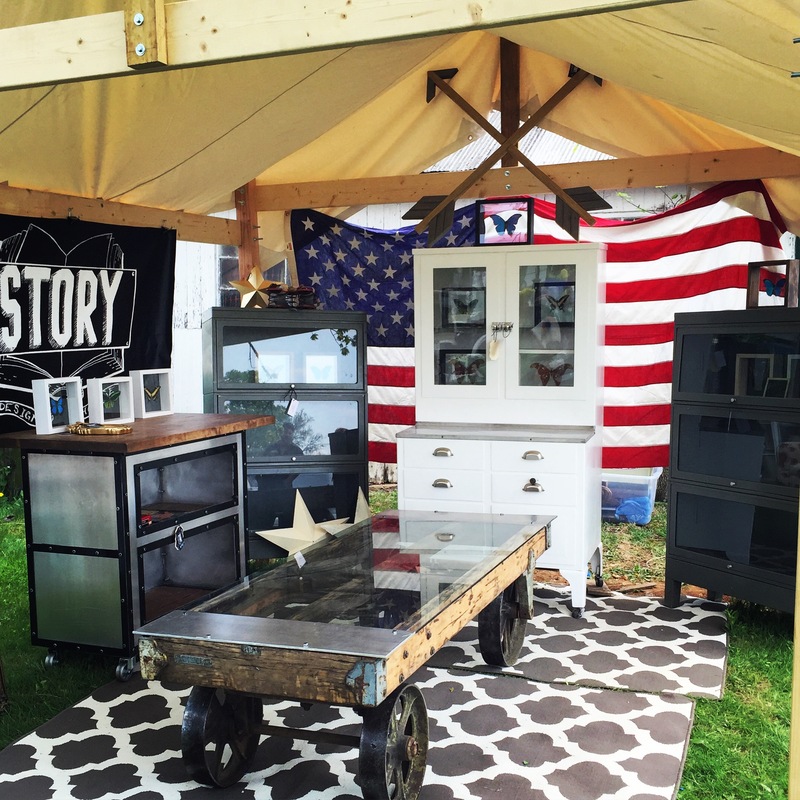 It was a great experience for our first foray into staging and designing our space for retail, and we had a blast talking with customers about our process, our projects, and custom order requests. 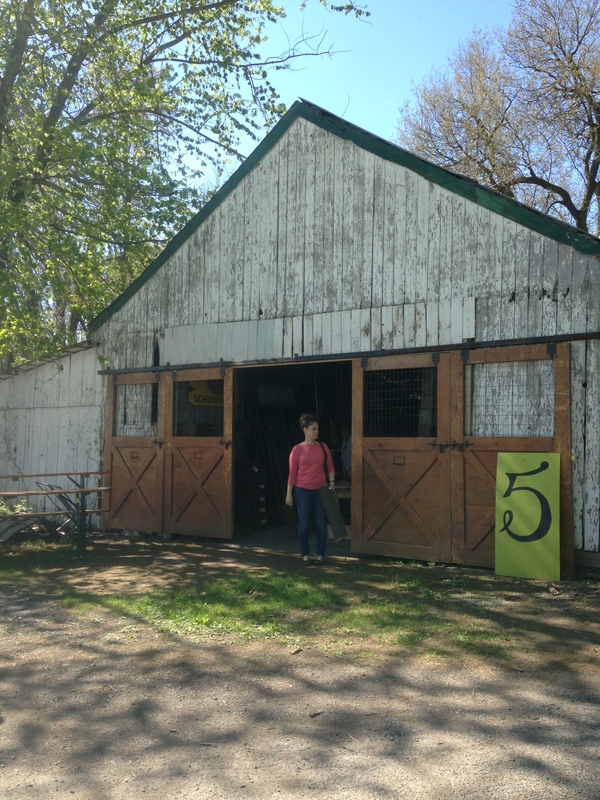 Here are some pics from our shop and a few from around the barns and grounds. You can check out more about Chartreuse at http://www.chartreuseandco.com. 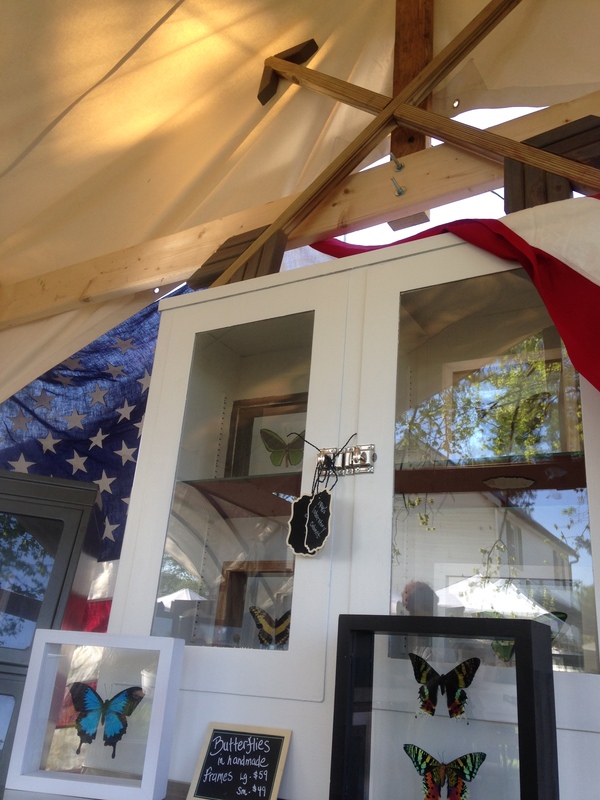 Close up of our awesome white metal cabinet stocked with butterflies. 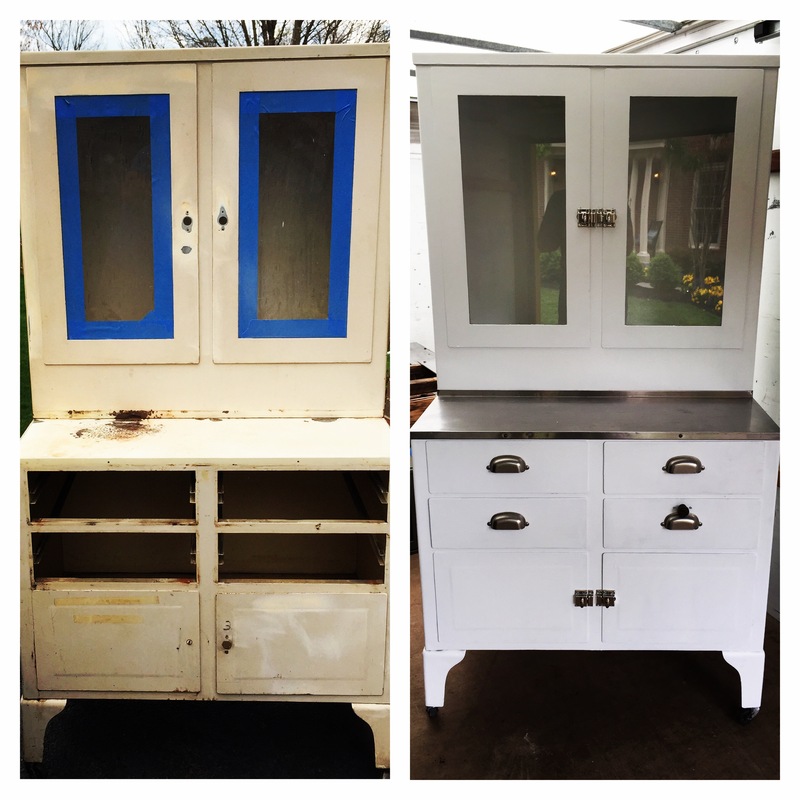 Take a look at the before and after pic below – can you believe how far this cabinet has come? 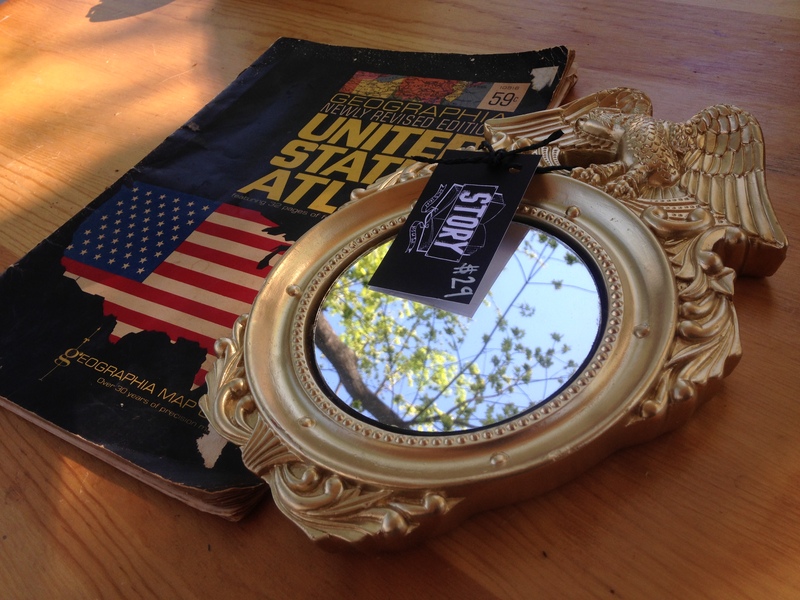 We love vintage Americana — basically anything with a flag or an eagle is pretty rad. 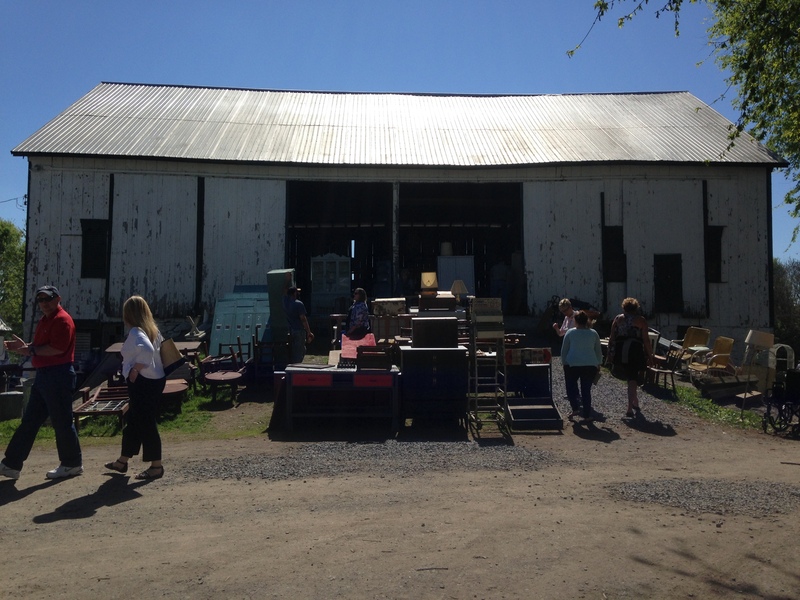 This giant barn is overflowing with vintage furniture — many of which is unfinished or needs fixin’ up — awesome! 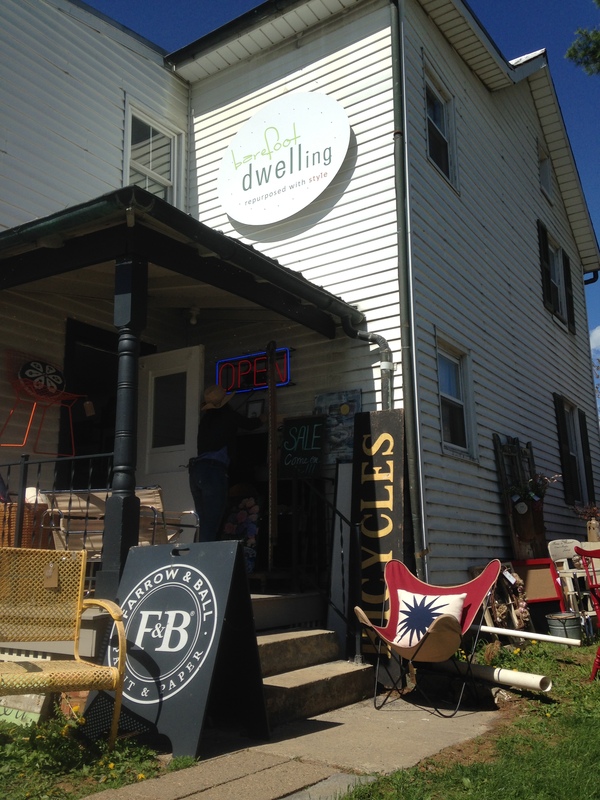 This old cottage has been converted to a shop featuring mid-century modern finds. 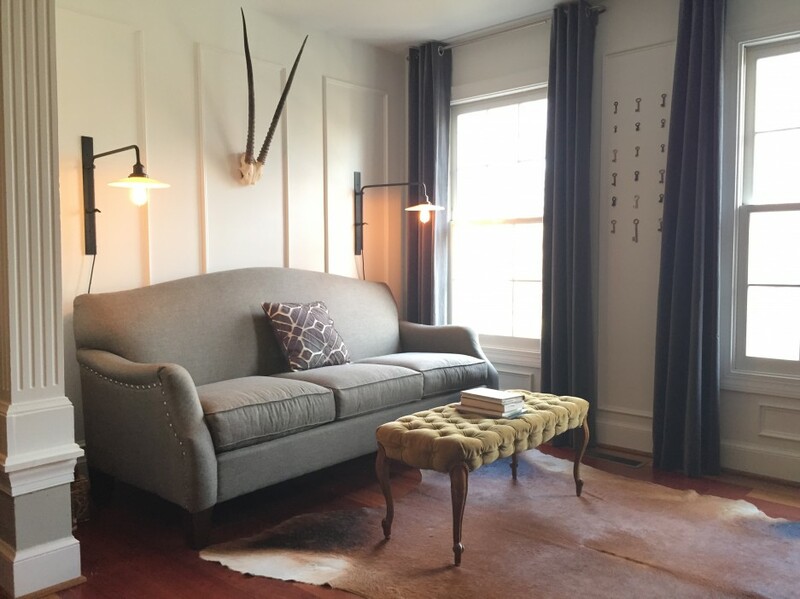 < Previous Wood. Metal. Glass. Yep. Next > Collect it. Make it. Love it. Sell it.